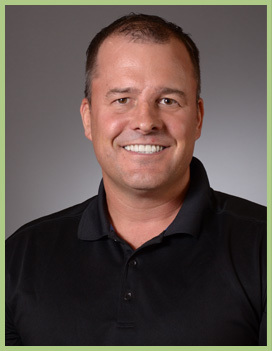 Dr. Brookover, or as he prefers, Dr. Curtis, is passionately dedicated to providing the most advanced, highest quality dental care using an integrative, health-focused, whole body philosophy. He combines proven dental science with advanced technical training and experience. Dr. Curtis's approach to oral healthcare includes a genuine concern for his patients' emotional wellbeing and comfort. An important part of his integrative approach is coordinating patient care with many of the alternative healthcare and holistic practitioners in the community. In addition to preventive, cosmetic, and general biological dentistry, Dr. Curtis specializes in complex dental surgery. He is a master cosmetic dentist, an expert in laser dentisty, and holds the rarely achieved advanced certification in IV sedation, which gives his patients the option of being relaxed, worry and pain-free during procedures. Dr. Curtis received his DDS degree from Oklahoma University in 1998. He is a member of the American Dental Association, the American Dental Society of Anesthesiology, the International Academy of Biological Dentistry and Medicine, the Academy of Laser Dentistry, a Fellow of the American Academy of General Dentistry, and Associate Fellow of the American Academy of Implant Dentistry.